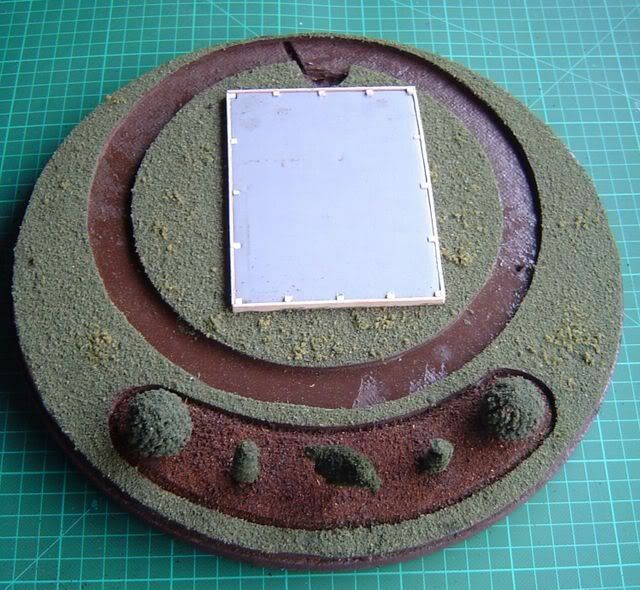 After a quick session with a compass and a can of Halford's "Rover Maple"
The plan required two main levels so a piece of foamcard was cut to shape and glued on with pva, making sure that the edges of the foam was well covered to ensure that it didn't melt when sprayed. Next came the scenic stuff. I had envisioned a garden setting so a lawn was laid using two colours of ground scatter and a flower bed was added with tea-bag leaves for mulch. 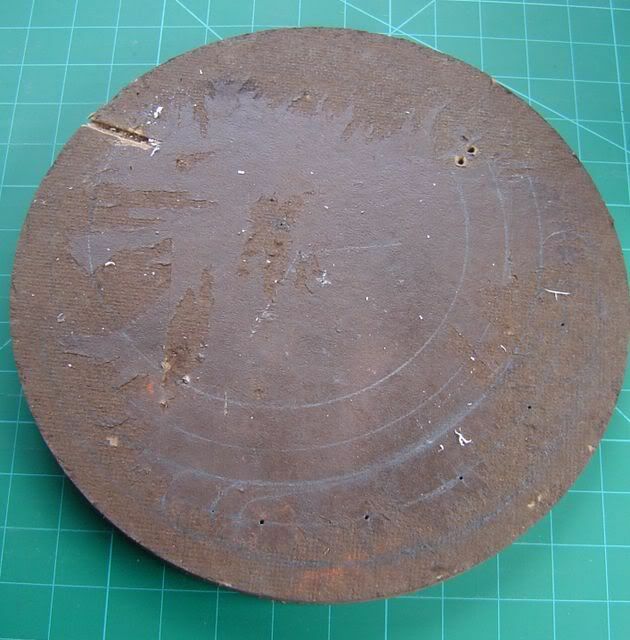 A concrete pad was laid out out foamcard with shuttering made out of coffee stirers and matchsticks. 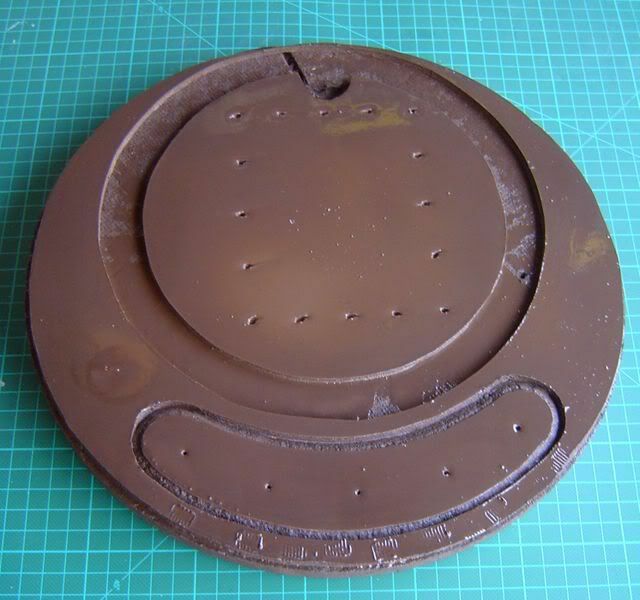 Barry had kindly brought a section of Tomix track to the June meeting of The GnOrfolkers and I ordered some 104mm diameter track from Plaza-Japan on ebay as I hadn't time to hand lay. 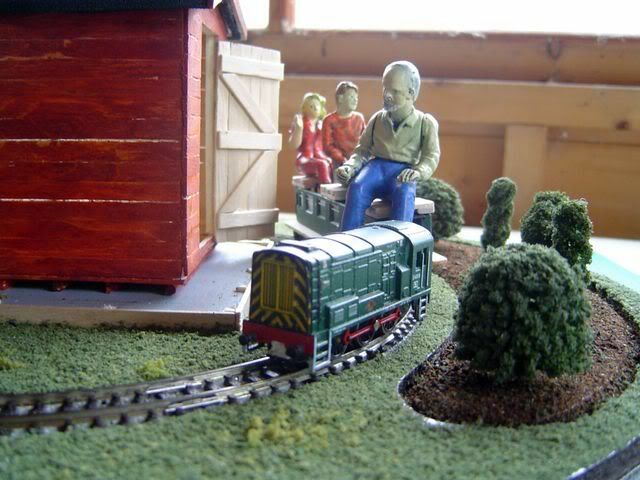 Of course a miniature railway needs miniature rolling stock. So then all I had to do was build a carriage. 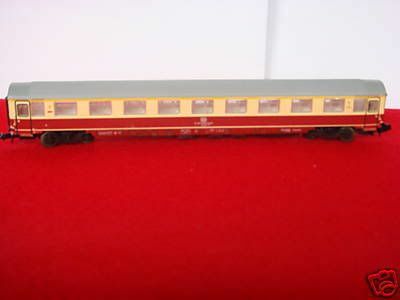 An Ibertren coach was purchased off ebay (it was the cheapest coach I could find). 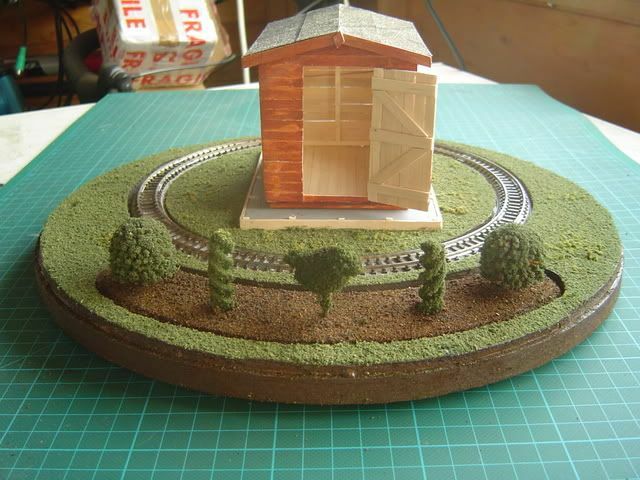 This needed to be shortened by 60mm or so as it would hit everything else on the layout The windows were removed and sprayed black on the back. Seats and steps made from coffee stirers were added and the coach was repainted in GW Dark Angel Green. A driver from M3 and two children, kindly given to me from Ralph, were painted. I hope the seating arrangements are little more secure than they were on Wednesday. 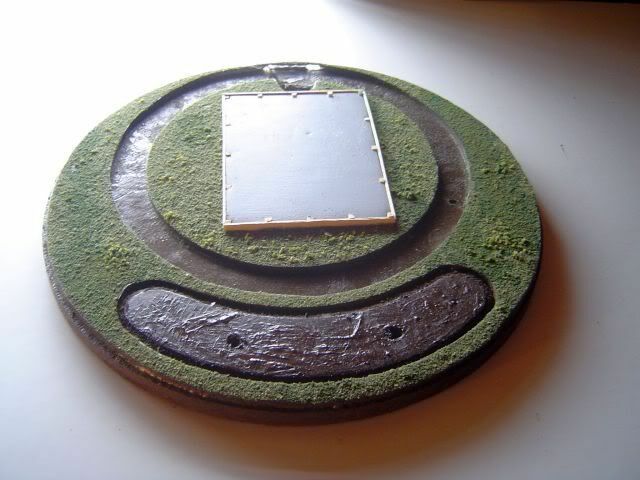 Wonderful Jon, what a great little project. 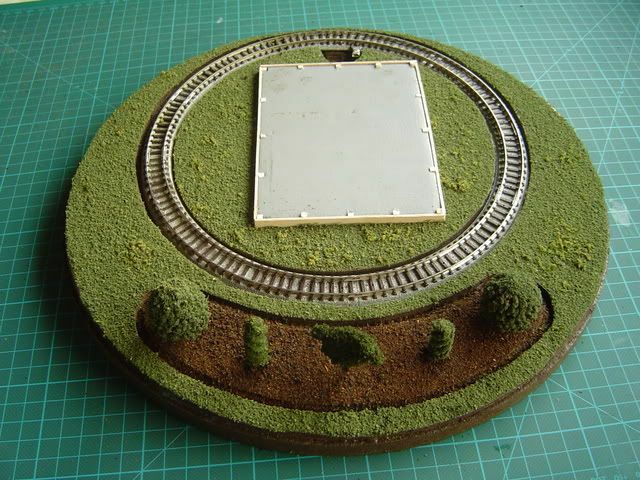 Some really good ideas aswell, I'm impressed by the coach conversion and using pasta for the topiary is inspired, will have to give that one a try . 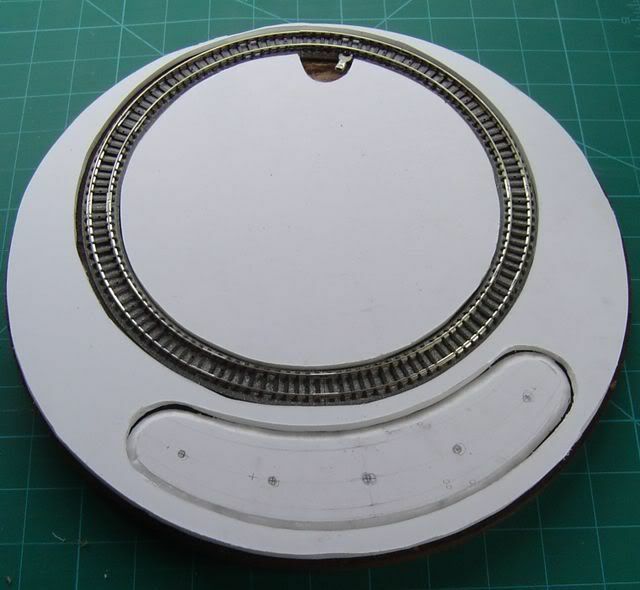 The Farish 08 looks perfect for the loco, a very popular model on many miniature lines and it looks just right, only needs a controller in the drivers hand and a flexible wire to the loco now only joking, but I wonder . 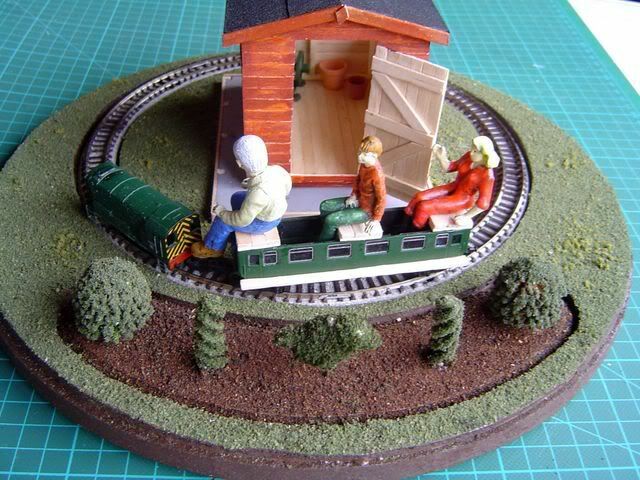 Steve Bennett wrote: it looks just right, only needs a controller in the drivers hand and a flexible wire to the loco now only joking, but I wonder . and the Bumble Bee twins with the controller on the seat in front of the driver. 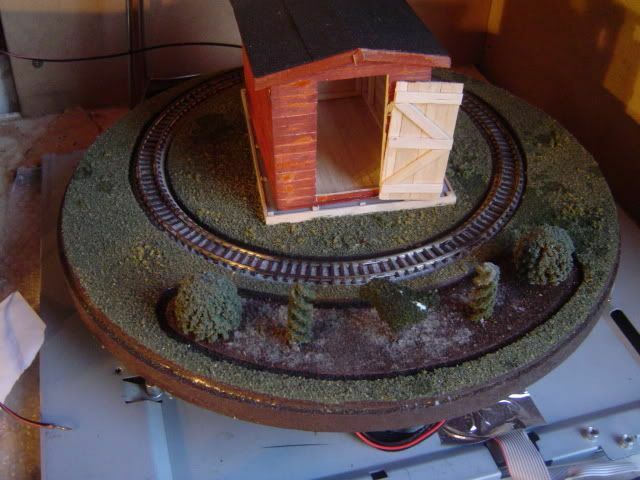 Sorry about the photo quality but these were the quickest photos I could find of diesel-outline battery-electric locos with the control boxes in view. 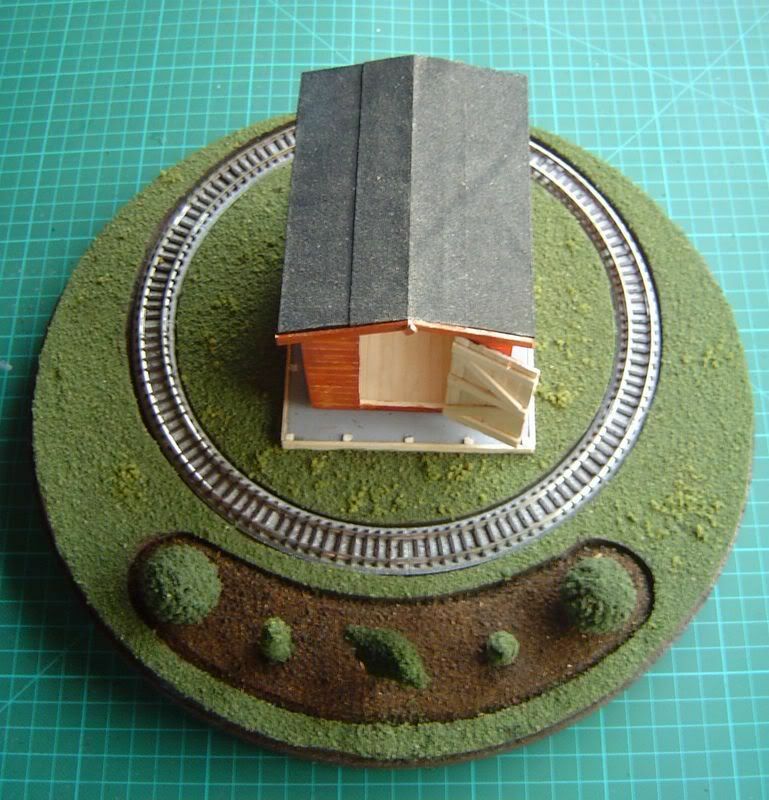 A very nice model. Congratulations on your marriage too- I managed to be buried in work and miss that thread. Controller on the riding car this time. If anybody was wondering about the name, well. Jon Randall wrote: two GnOrfolkers (who shall remain nameless, but you can probably guess ) remarked "I hope that is Yorkshire Tea and gnot that Tetley stuff"
Thats more than can be said for the forum search, I can never find my own thread it seems to be invisible . 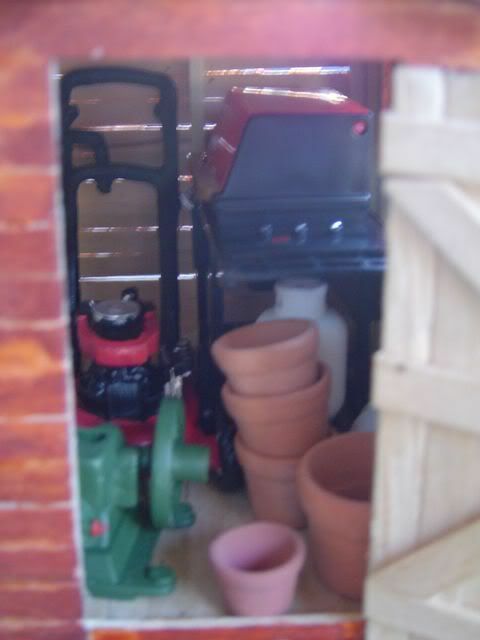 Where did you get the pots from Jon, they look nicely made. I could do with some bigger ones and cant be bothered to make my own again . Mould Actually it wasn't as bad as I had expected as the felt had blown off the shed in february. The real shed not the model. Still it gives me an excuse for a bit of a freshen up, the topiary looks a bit tired, the door still needs hinges, the lawn needs mowing. I guess you can't refer to the mold as genuine plant life then. Well deconstruction has been completed. 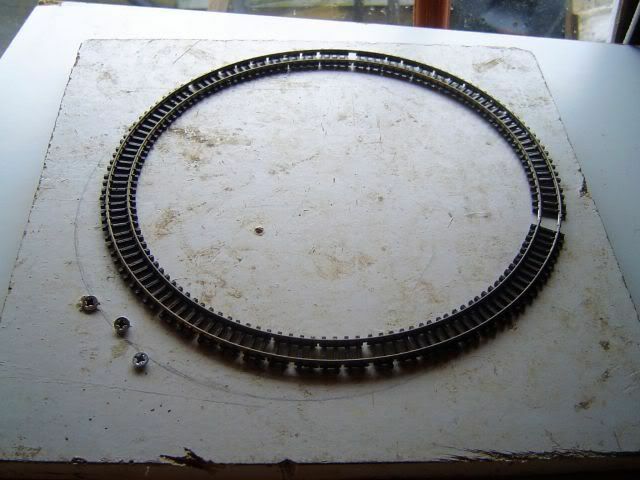 I have decided to replace the track at the same time so I have bent some peco code 80 and threaded the sleepers back on. Thats the railbender in the bottom left corner. The topiary is growing at the moment, I'll post photos after their final trim.